Legislature • Change would make polygamy a felony again. Steve Griffin | The Salt Lake Tribune Priscilla Hammon and her sister Marlyne Hammon, of the Centennial Park Action Committee in Centennial Park, AZ, talk with Sen. Jim Dabakis, D-Salt Lake City following a protest rally against H.B. 281 that if passed make polygamy a felony in Utah again. Members of plural marriage community are not happy and rallied against the bill in the Capitol rotunda during the 2016 legislative session in Salt Lake City, Monday, March 7, 2016. Steve Griffin | The Salt Lake Tribune People attend a protest rally in the Capitol rotunda against H.B. 281 that if passed make polygamy a felony in Utah again. Members of the plural marriage community are not happy and rallied against the bill during the 2016 legislative session in Salt Lake City. Steve Griffin | The Salt Lake Tribune Lillian Swapp Foster, holds her six-week-old son Adonijah Foster, left, and Catrina Foster, right, stand with their husband Enoch Foster as they attend a protest rally against H.B. 281 that if passed make polygamy a felony in Utah again. 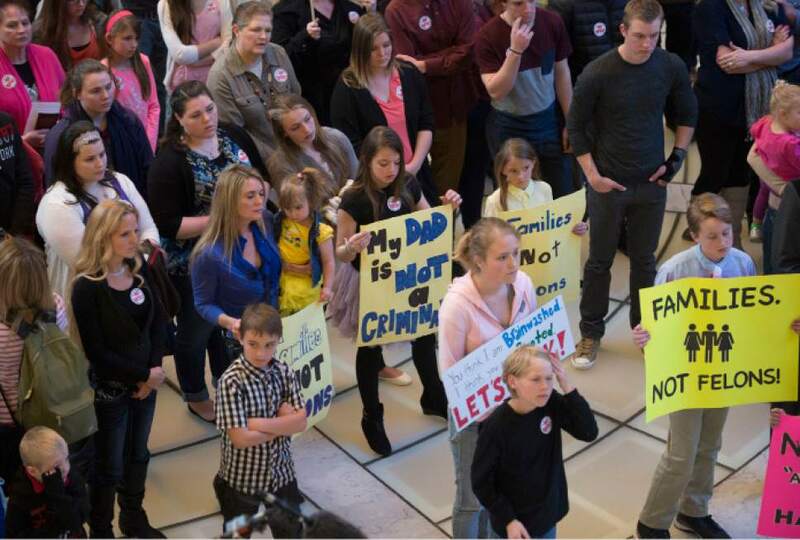 The Fosters, of southeast Utah and other members of Utah's plural marriage community rallied against the bill in the Capitol rotunda during the 2016 legislative session in Salt Lake City, Monday, March 7, 2016. 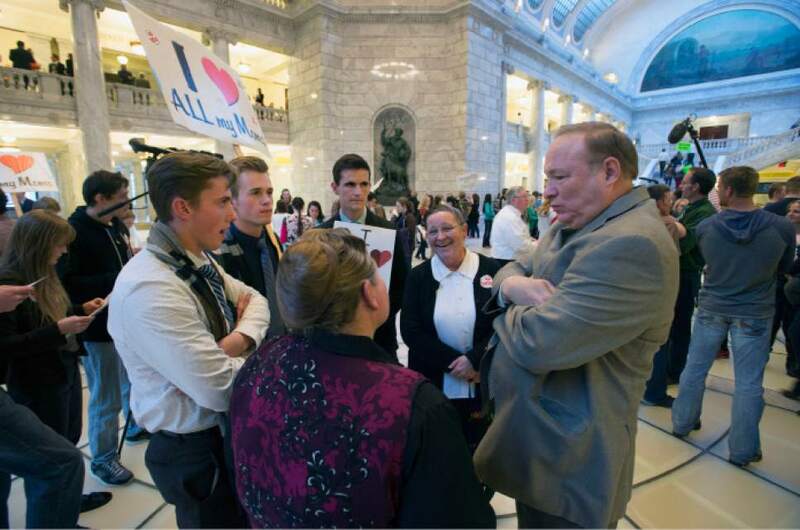 Steve Griffin | The Salt Lake Tribune People attend a protest rally against H.B. 281 that if passed make polygamy a felony in Utah again. 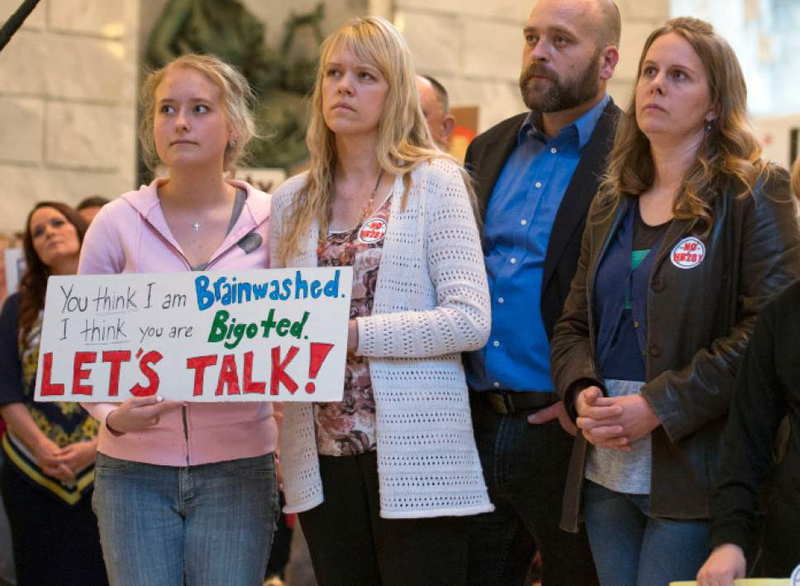 Members of the plural marriage community are not happy and rallied against the bill in the Capitol rotunda during the 2016 legislative session in Salt Lake City, Monday, March 7, 2016. Francisco Kjolseth | The Salt Lake Tribune Representative Mike Noel, R-Kanab, works on the House floor at the Utah Capitol on Wednesday, Jan. 27, 2016. Steve Griffin | The Salt Lake Tribune Brady Williams, stands with two of his wives, Robyn Williams, left, and Nonie Williams, right, and his daughter Hannah Williams, as they attend a March protest rally in Salt Lake City against H.B. 281 that if passed make polygamy a felony in Utah again. 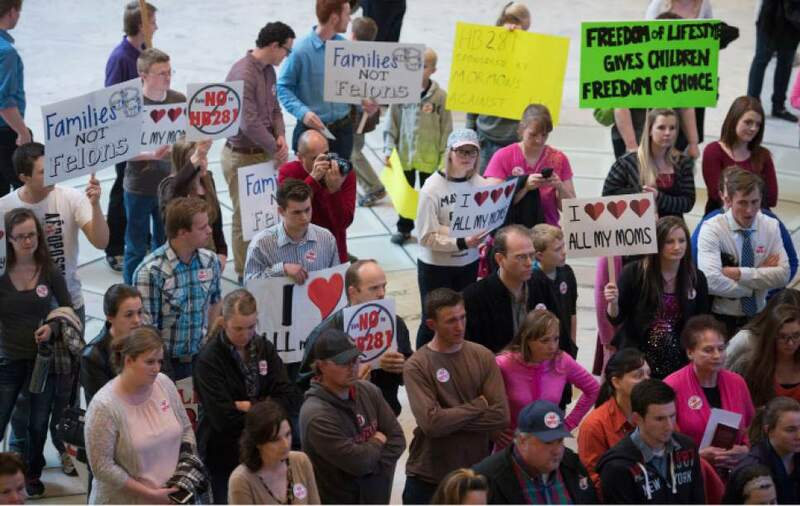 Members of Utah's plural marriage community are not happy and rallied against the bill in the Capitol rotunda during the 2016 legislative session. 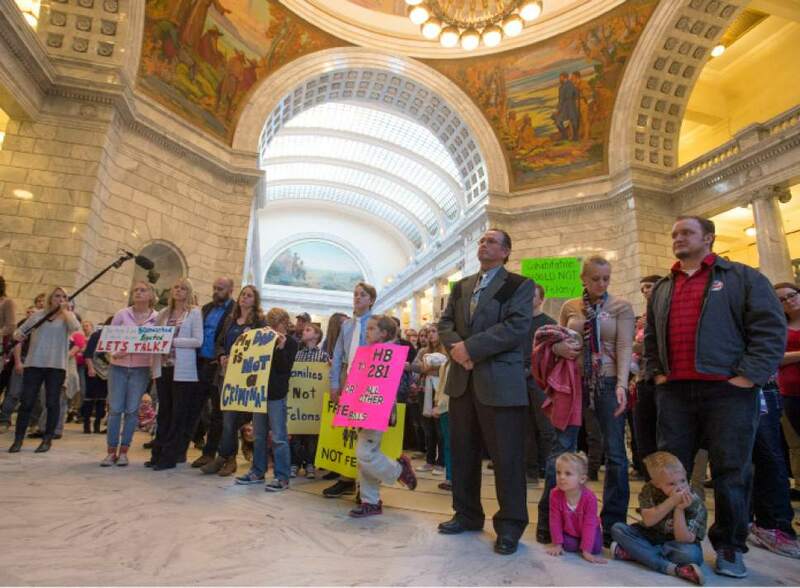 Steve Griffin | The Salt Lake Tribune People attend a protest rally against H.B. 281 that if passed make polygamy a felony in Utah again. Members of the plural marriage community are not happy and rallied against the bill in the Capitol rotunda during the 2016 legislative session in Salt Lake City, Monday, March 7, 2016. Steve Griffin | The Salt Lake Tribune People attend a protest rally against H.B. 281 that if passed make polygamy a felony in Utah again. 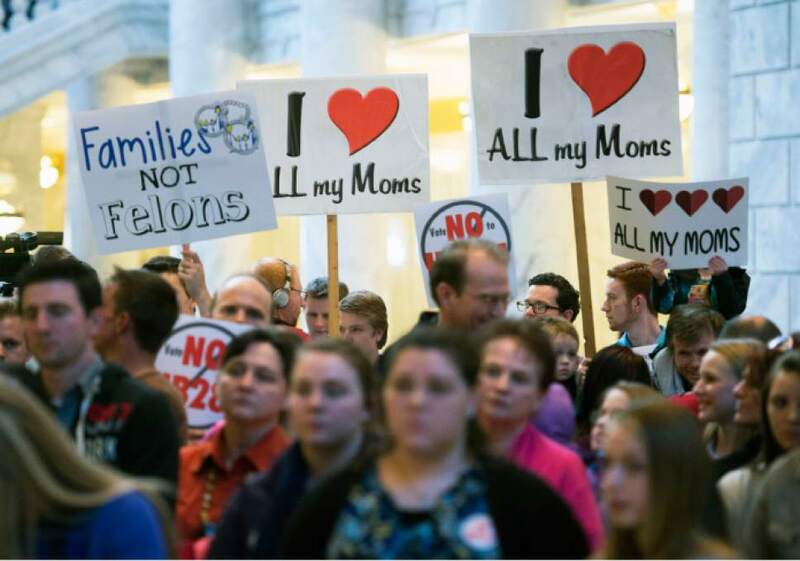 Members of the plural marriage community are not happy and rallied against the bill in the Capitol rotunda during the 2016 legislative session in Salt Lake City, Monday, March 7, 2016. 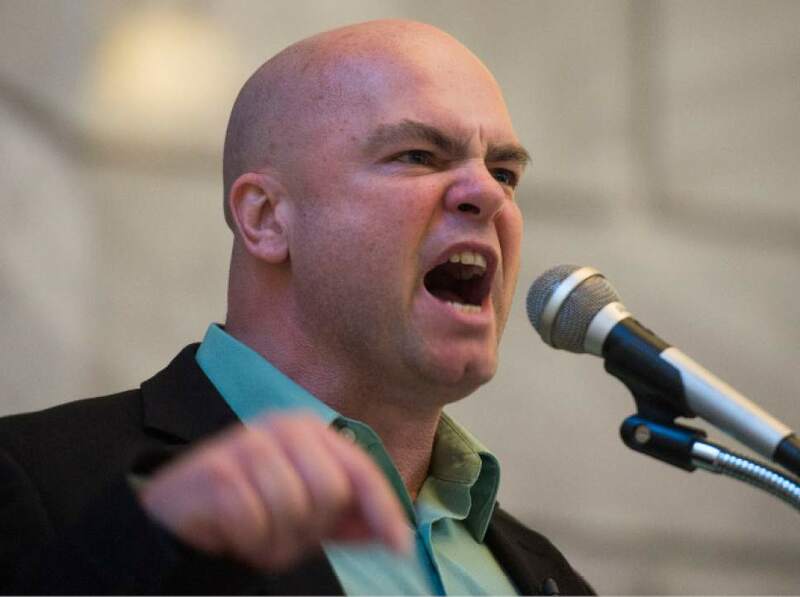 Steve Griffin | The Salt Lake Tribune Polygamist Joe Darger speaks during a protest rally in the Capitol Rotunda on Monday, angrily opposing HB281. Steve Griffin | The Salt Lake Tribune People make signs as they attend a protest rally against H.B. 281 that if passed make polygamy a felony in Utah again. 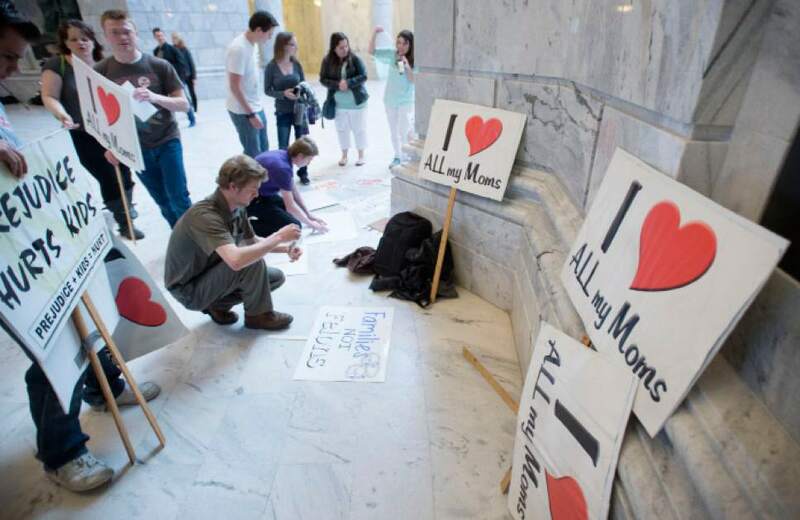 Members of Utah's plural marriage community are not happy and rallied against the bill in the Capitol Rotunda during the 2016 legislative session in Salt Lake City on Monday. At a protest Monday in the Capitol Rotunda, James held up a picket sign with a cartoon. It depicted two missionaries from The Church of Jesus Christ of Latter-day Saints peeking inside the bedroom of a man and woman under the covers. The sign read, "Mormon Bedroom Police." "The LDS Church have their hands in the pockets of the lawmakers," said James, who wouldn&apos;t give his last name. He said he is a member of the polygamous Kingston group. 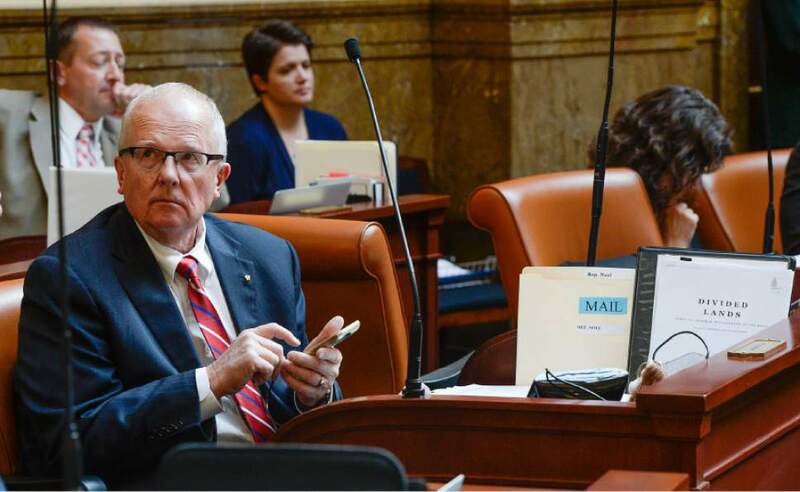 The Utah Legislature is considering a bill that would effectively make polygamy a felony again, and polygamists have been voicing displeasure at both lawmakers and the LDS Church. The acrimony is based on a belief that the LDS Church either pressured lawmakers on the measure, HB281, or legislators are wanting to back the church&apos;s position on polygamy. The LDS Church disavowed polygamy just before Utah&apos;s statehood and excommunicates any members who practice it. Rep. Jacob Anderegg, R-Lehi, argued against making polygamy a felony, and in his floor speech March 2 said, "... The Church of Jesus Christ of Latter-day Saints has concerns, so I&apos;ve been told, with changing this away from a felony." He voted against HB281, which is titled Bigamy Offense Amendments. 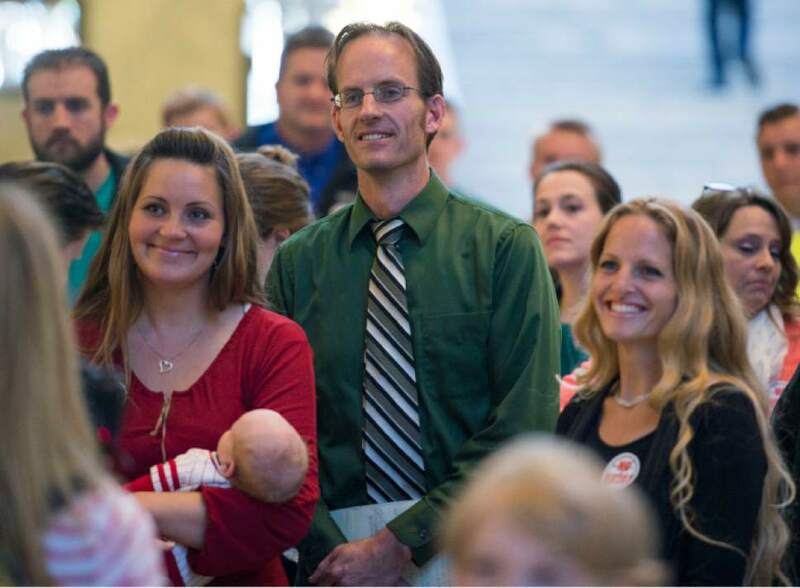 "Chatter on the hill is that the LDS Church has been weighing in on HB281 to keep polygamy a felony," tweeted Connor Boyack, president of Libertas Utah, as legislators were debating the bill on the House floor. Boyack clarified Monday that he had no confirmation the church had lobbied or held a position on the bill. The bill&apos;s sponsor, Rep. Mike Noel, R-Kanab, said Monday no one representing the LDS Church contacted him about the measure. "They haven&apos;t lobbied anybody," Noel said. Spokespeople for the LDS Church did not respond to inquiries Tuesday. If the LDS Church does have an opinion, it may not be enough. HB281 passed the House, but it did not receive a hearing in the Senate. Senators would have to suspend their own rules and move the bill onto the floor if they want a vote on the bill before the legislative session ends Thursday. Noel had been trying to amend the law that a federal judge struck down in a lawsuit filed by the Brown family from the reality show "Sister Wives." The judge focused on a section of the statute saying that someone is guilty of bigamy if a married person, knowing the other person is married, "purports to marry another person or cohabits with another person." HB281 would change the "or" to an "and." An earlier version of the bill would have lessened the penalty to a misdemeanor, but a later change reverted the penalty to a third-degree felony punishable by up to five years in prison. Right or wrong, polygamists have been venting frustration toward the LDS Church. Charlie Barlow, a former follower of Fundamentalist Church of Jesus Christ of Latter-Day Saints President Warren Jeffs, and who has two wives, compared lawmakers&apos; faithfulness to the LDS Church to the allegations the Justice Department successfully made in a discrimination lawsuit against the polygamous towns of Hildale, Utah, and Colorado City, Ariz.
"While the DOJ is suing the towns of Colorado City and Hildale for discriminating against people who don&apos;t follow the FLDS leadership, then the state of Utah is considering legislation aimed at discriminating against Mormons who don&apos;t follow the LDS leadership!!!" Barlow wrote in a text message. The bill and the people polygamists blame for it are further complicating relationships with the LDS Church. Polygamous groups who consider themselves fundamentalist Mormons worship from the same texts as the LDS Church. Used hymnals from LDS Church wards have found their way to polygamous congregations in Hildale and Colorado City. LDS charities have helped people fleeing abusive polygamous households. Some of those fleeing then get baptized into the LDS Church. Joe Darger, who has three wives and 24 children, two of whom are now members of the LDS Church, said he had no evidence the church weighed in on the bill. He said it appeared lawmakers were trying to pass judgment on his family. "It&apos;s this righteous attitude that we are somehow your moral authority," Darger said of legislators. Darger led Monday&apos;s protest at the Capitol. In a forceful speech, he quoted an LDS scripture, Doctrine and Covenants 134:4, which reads in part: "We do not believe that human law has a right to interfere in prescribing rules of worship to bind the consciences of men." After the quote, Darger referenced the language of HB281 by yelling into the microphone: "We will purport and cohabitate the way we damn well please!"